Mobini, S., Solati-Hashjin, M., Peirovi, H., Samadi-kuchaksaraei, A. (2012). Synthesis and characterization of fiber reinforced polymer scaffolds based on natural fibers and polymer for bone tissue engineering application. Iranian Journal of Biotechnology, 10(3), 184-190. Sahba Mobini; Mehran Solati-Hashjin; Habibollah Peirovi; Ali Samadi-kuchaksaraei. "Synthesis and characterization of fiber reinforced polymer scaffolds based on natural fibers and polymer for bone tissue engineering application". 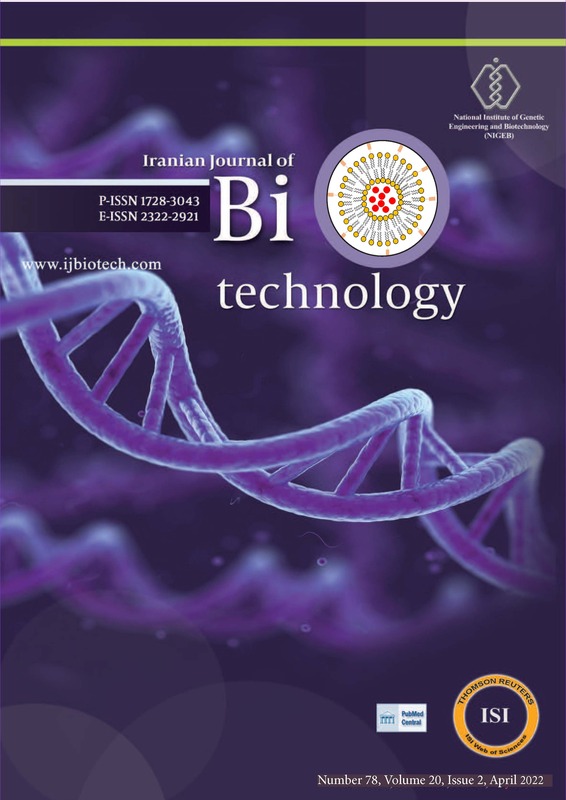 Iranian Journal of Biotechnology, 10, 3, 2012, 184-190. Mobini, S., Solati-Hashjin, M., Peirovi, H., Samadi-kuchaksaraei, A. (2012). 'Synthesis and characterization of fiber reinforced polymer scaffolds based on natural fibers and polymer for bone tissue engineering application', Iranian Journal of Biotechnology, 10(3), pp. 184-190. Mobini, S., Solati-Hashjin, M., Peirovi, H., Samadi-kuchaksaraei, A. Synthesis and characterization of fiber reinforced polymer scaffolds based on natural fibers and polymer for bone tissue engineering application. Iranian Journal of Biotechnology, 2012; 10(3): 184-190. 1Department of Biomedical Engineering, Amirkabir University of Technology, P.O. Box 158754413, Tehran, I.R.Iran. 2Nano Technology and Tissue Engineering Research Center, Shahid Beheshti University of Medical Sciences, P.O. Box 1985717443, Tehran, I.R. Iran. 3Department of Biotechnology and Cellular and Molecular Research Center, Tehran University of Medical Sciences, P.O. Box 14155/6183, Tehran, I.R. Iran. 4Biological Systems Engineering Laboratory, Centre for Process Systems Engineering, Department of Chemical Engineering, Imperial College London, London, UK. mechanical and biological properties has been used for fabrication FRP scaffolds. In this study FRP scaffolds prepared by a combination of silk fibroin polymer, which is another configuration of silk fibers as a porous matrix and silk fibers as the reinforcement element. FRP scaffolds have been fabricated by the freeze-drying method. Microstructure has been analyzed by scanning electron microscopy and the results show an integrative structure. Mechanical properties have been evaluated by universal testing machine. Compressive mechanical modules as well as strength of FRP scaffolds increased about three times in magnitude in comparison with pure fibroin scaffolds. FRP scaffolds had a compressive module of ~3.6 MPa. Osteoblast viability and attachment on FRP scaffolds were investigated in vitro by MTT assay, which showed no cytotoxic response. Additionally, based on SEM results it is concluded that FRP scaffolds provide a good environment for osteoblast attachment.